Usually on Sunday's , I participate in the black and white Sunday blog hop. Whis is a day when we take our photos and turn them into a black and white photo. The photo I wanted to use today didn't show the sheer beauty of what our eyes seen. In the back of the yard, ma grows mint. It grows like a weed but that is a good thing. In our backyard we have a natural bog that is under ground and ma grows plants that drink the extra water that the bog leaves. A bog can be a wonderful garden if you are able to keep it up but it can also be a nightmare. A bog is the perfect place for mosquitoes to breed. The parents add dirt but a bog has a way of making all that dirt disappear. They added concrete blocks and then dirt but those also disappeared. The only thing that has worked besides a drought is planting water loving plants. Mint is one of those wonderful plants that doesn't care if it is planted in a dry area or a wet area. It is just happy to grow. 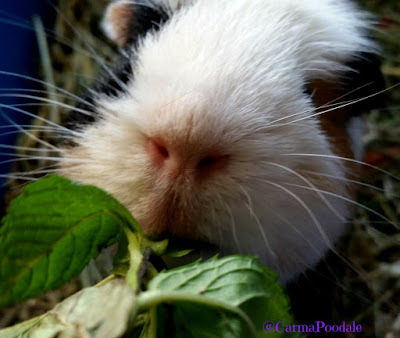 The other wonderful thing about mint is that our guinea pigs love it. Cookie goes wild for it. 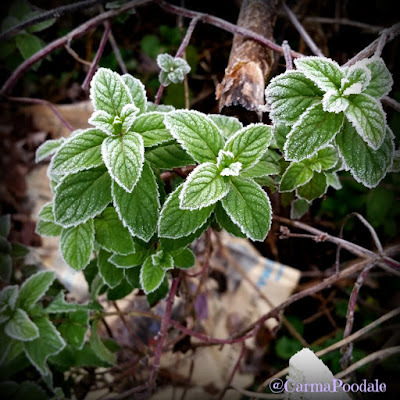 Ma has some mint planted in some pots in the house for the winter time use and she has some in a vase with water. Cookie loves when ma picks her up and carries her to the mint garden. She sits in ma's lap and nibbles it right off the stems. Its a bonding time for those two. It is also good in a glass of tea or in recipes. Ma says it also makes a great mint julep. A drink that is a Kentucky tradition. 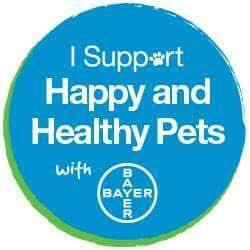 We mostly use it for guinea pigs. Jenny Sue loves it too.We hope you enjoy the photo as much as we enjoyed taking it. Does your pets like any plants or herbs you grow? That is a gorgeous photo! I never knew that guinea pigs love mint. I have a "nephew guinea pig", next summer I'll have to give some to him. I wonder if my son's rabbit likes mint. Our rabbit that we had used to love mint. That was the main reason it was planted where it is. We built a rabbit cubby (that is what we call it) out of the leaves and other scraps we find in the yard. Its like a compost pile that is lined with a wire fence but after the parents built it, our rabbit used to like to lay in it. He would go out during the day and have the run of the yard. He stayed in the cubby when the sun was out so he stayed cool, was away from all the predators. When he passed on, wild rabbits took it over. They all love mint.